It may not have been a revolutionary year in terms of products but progress has been made. 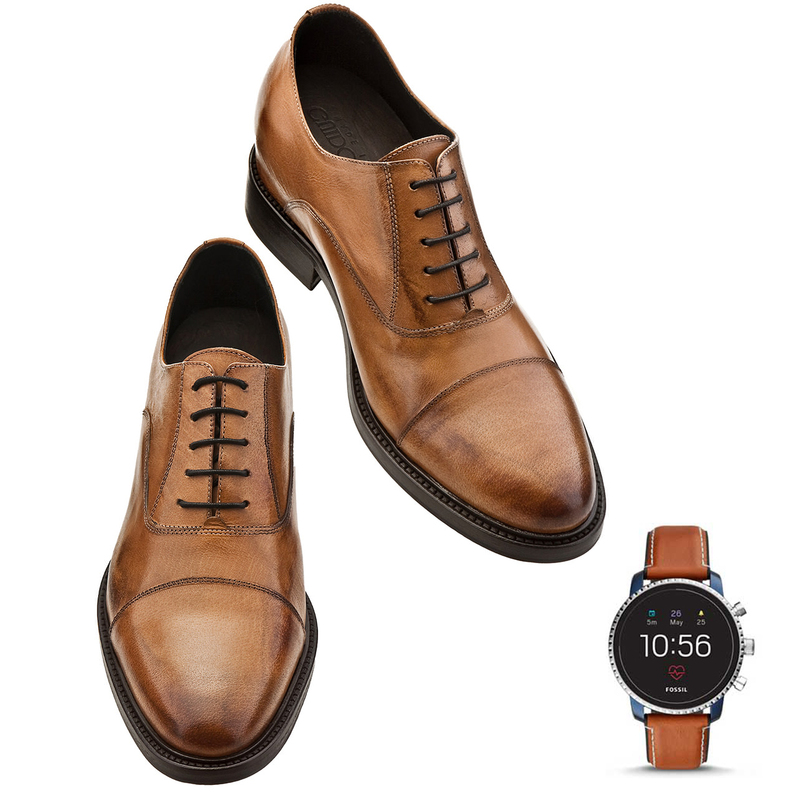 Smartwatches have become more functional, with improved battery life and, importantly, more sophisticated designs. So what are the best of 2018? Here’s the ranking provided by NewsAtlas magazine. In first place is the Apple Watch, compatible only with iPhone. 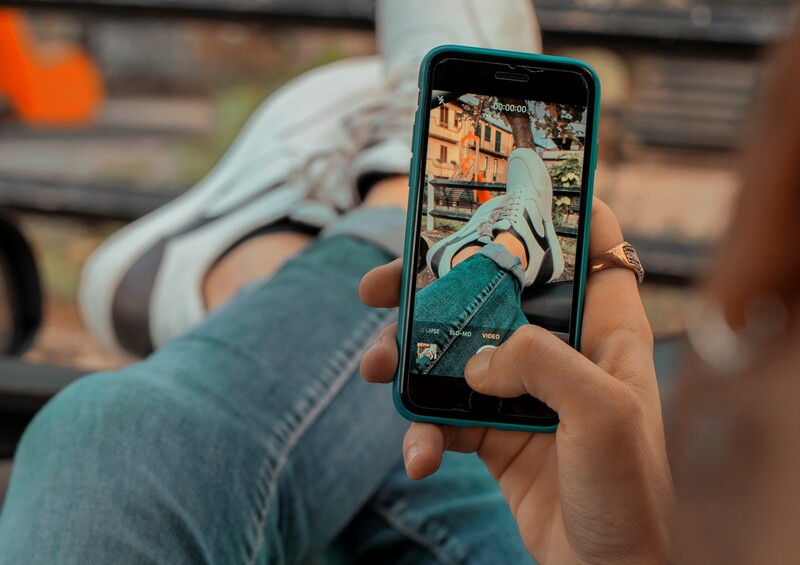 The Series 4 is faster than its predecessors, offers a larger screen, an ECG monitor that can detect heart abnormalities and can monitor training and physical activity. 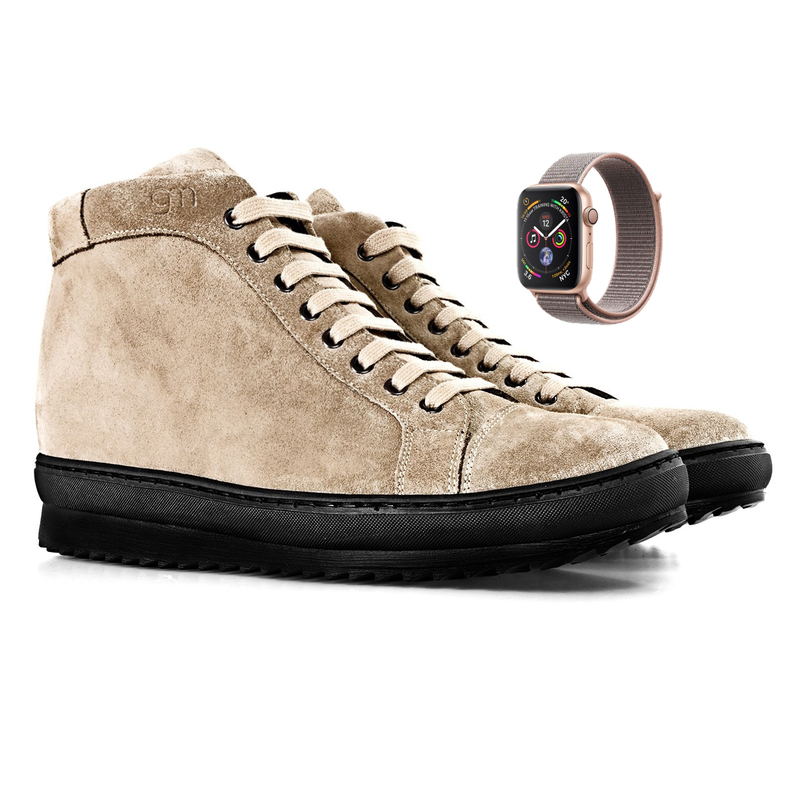 We suggest wearing the Apple Watch with a sleek pair of Stamford GuidoMaggi elevator shoes for impeccable style. The most competitive rival to Apple’s watch is the FitBit Versa, complete with all the health and fitness technology of FitBit but with elegant design features. However, it lacks some important features, such as GPS but it’s priced competitively and the battery lasts longer. 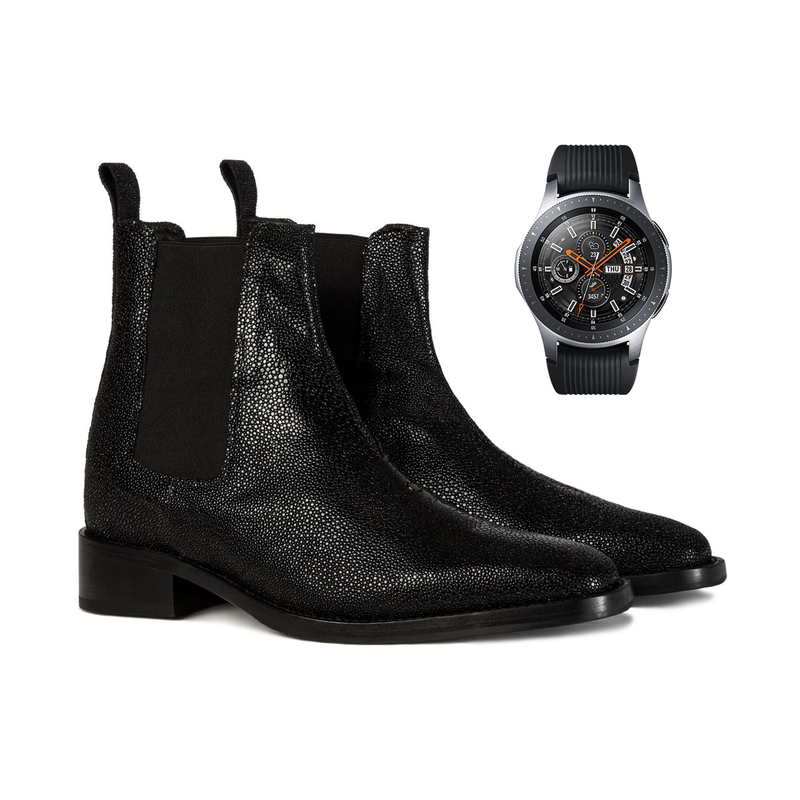 Between fitness sessions, pair it with the upcoming Kolyma GuidoMaggi elevator boots. The Samsung Galaxy Watch doesn’t disappoint: attractive design, plus great features, including heart rate monitor, sleep monitor, and GPS. It’s also waterproof up to 16 feet and the battery lasts up to 80 hours, offering good value for money. Add an exclusive touch to your look and wear it with Masterpiece GuidoMaggi elevator shoes; details make all the difference. Raise the bar with the jewel in Garmin’s crown; a durable and reliable watch for those who love the outdoors. The Fenix 5 Plus is the newer model of the Fenix 5, offering contactless payments and music alarms. The real gem is its mapping abilities. No matter where you are you can find your way home, even without cellphone service. It can also track your activities, making a complete package. 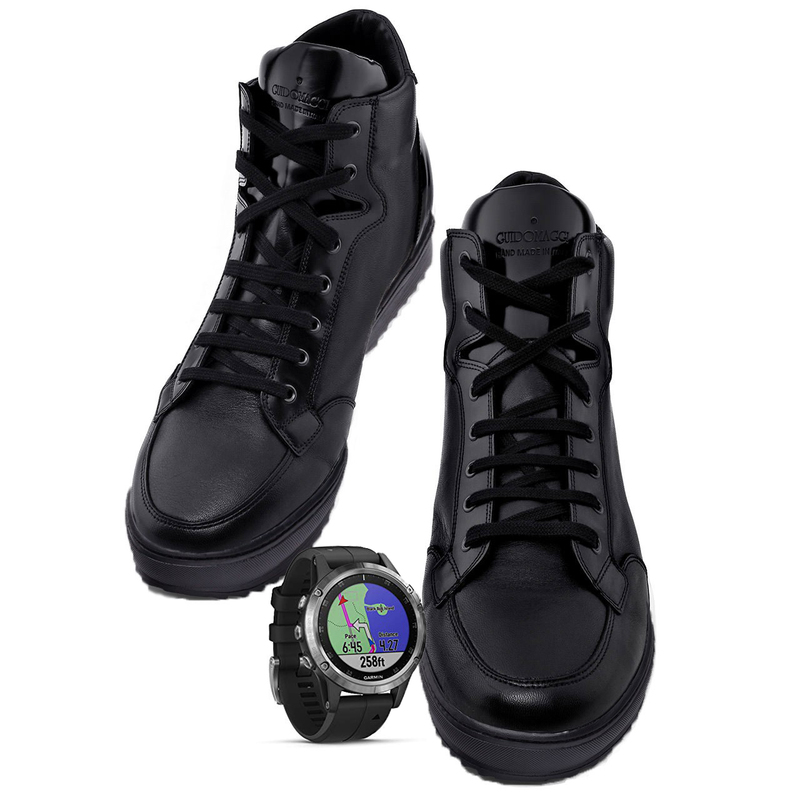 Put a pair of California Black GuidoMaggi elevator sneakers on your feet to face every challenge with sophistication. For more of a classic look, the Fossil Q Explorist HR deserves to be shown off. 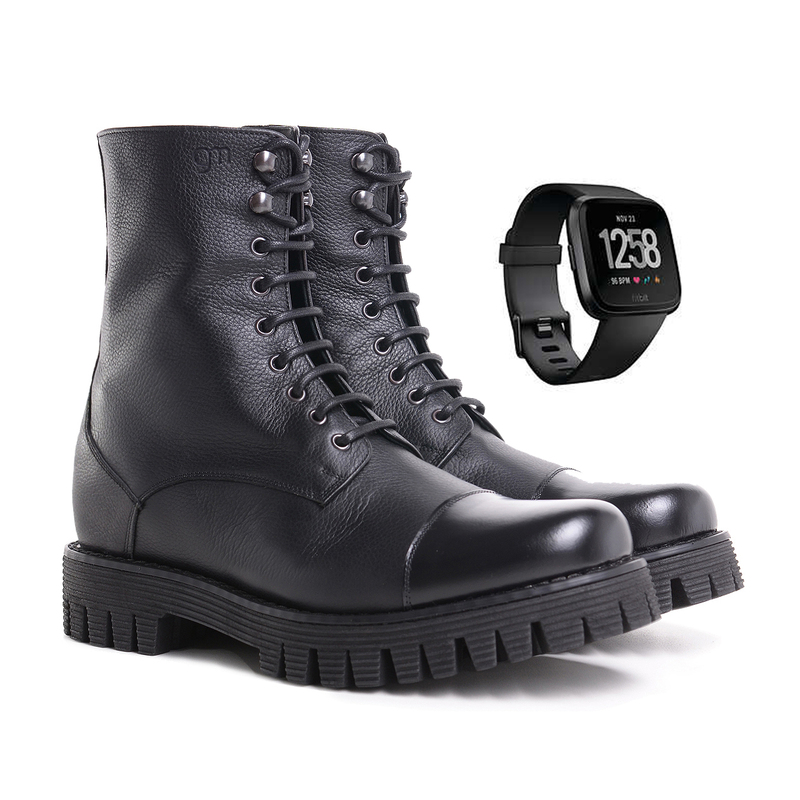 This updated version features GPS, contactless payments, heart rate monitor and it’s waterproof. The battery lasts up to 24 hours but we think it’s worth it for the style. The perfect pairing? The Beverly Hills GuidoMaggi elevator shoes; the final touch for the modern gentleman. Finally, we come to Withings Steel HR Sport, which smartly reinvents the traditional clock watch by adding technology features designed to aid in fitness routines. It can even measure the amount of oxygen you use during training. 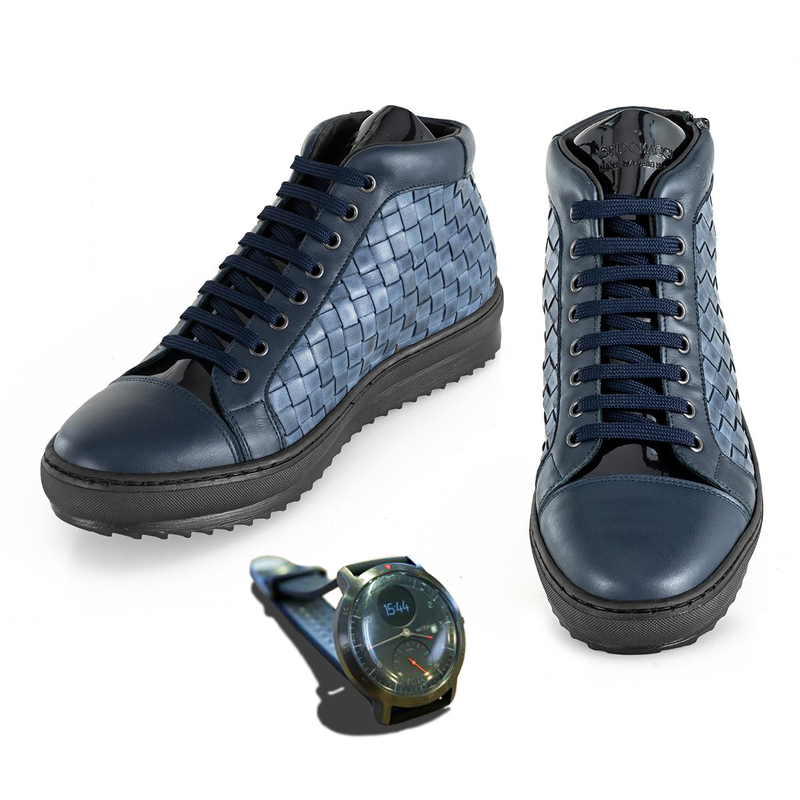 For a matching shoe style, the Fairview GuidoMaggi elevator sneakers are ideal: refined, casual with quality craftsmanship to add a touch of originality to your style.